This recipe is just in time for Summer hikes and nibble breaks as you pause to enjoy the iceberg views this year. 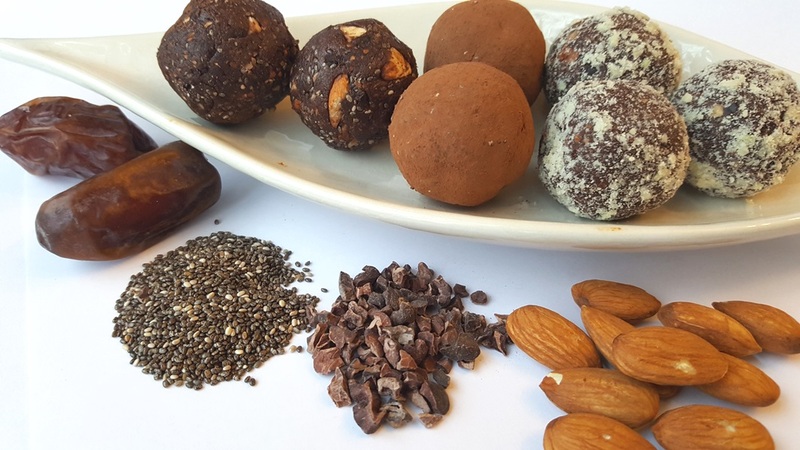 Date balls are an easy-to-make, healthy, snack choice for a day on the trails. The sweetness of dates allows for the addition of many (even bitter) health boosting ingredients while still maintaining tastiness. You can play around with the recipe below and add whatever super foods you find in your cupboard. This is my 2017 fave. The cacao bits add a crunchy texture that I love! Mix ingredients in a food processor or high quality blender. Shape mixture into small balls. Roll the shaped balls into almond flour, shredded coconut, or cocoa powder. This will make the balls less sticky and easy to handle. Once coated, pop them in the freezer to pull out last minute before heading out, or eat them right away!